Christian Englander will forever be known as the man who threw a banana peel at Dave Chappelle and ended up behind bars. 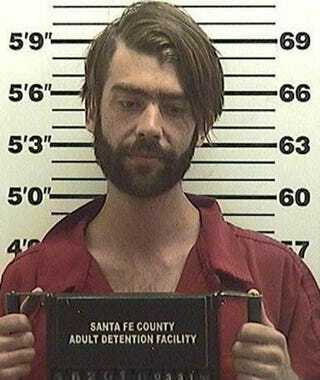 During Chappelle’s Monday-night concert in Santa Fe, N.M., Englander allegedly became upset after the comedian made fun of his companion. But instead of taking the jokes in stride, he launched a banana peel at Chappelle. After getting hit with the peel, Chappelle asked, "Who just threw a banana peel? Would you like to see your favorite comedian beat the s—t out of someone?" And of course the crowd screamed with glee. Chappelle then said that he wanted to kick the guy in his face. And more screams from the crowd. Englander was still behind bars as of Tuesday.